When looking for a television provider, it is important to compare a number of different features to find the best one for your home. With DIRECTV, we provide the best 4K entertainment experience available, power your home with our Genie® HD DVR and instant access to over 35,000 shows and movies with DIRECTV On Demand programming. Whatever you love to watch, discover a better home entertainment experience. 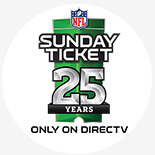 Get the ultimate entertainment experience with access to more than 330 channels, NFL SUNDAY TICKET, and over 20,000 movies and shows all on DIRECTV. Technology that takes your TV to a whole new level. 1 Additional equipment required. Additional & advanced receiver fees apply. 2 To access HD programming, HD television required. Access to programming based on package selection. Blackout restrictions apply to sports programming. 3 Out-of-market games only. Select int’l games excluded. With CHOICE Package or above (min. $45/mo. for 12 mo. after discounts; Prices higher in 2nd year. 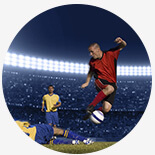 Regional Sports Fee up to $7.49/mo. applies). 24-mo. agreement required. EARLY TERMINATION FEE OF $20/MO. FOR EACH MONTH REMAINING ON AGMT., $35 ACTIVATION, EQUIPMENT NONRETURN & ADD’L FEES APPLY. New approved residential customers only (equipment lease req’d). Credit card req’d (except MA & PA). Subscription renews automatically each season at then prevailing rate (currently $293.94/season) unless you call to cancel within two weeks after the start of the season.